Westermeyer, Joseph John 2012. Managing the Classification of Psychiatric Diagnoses. 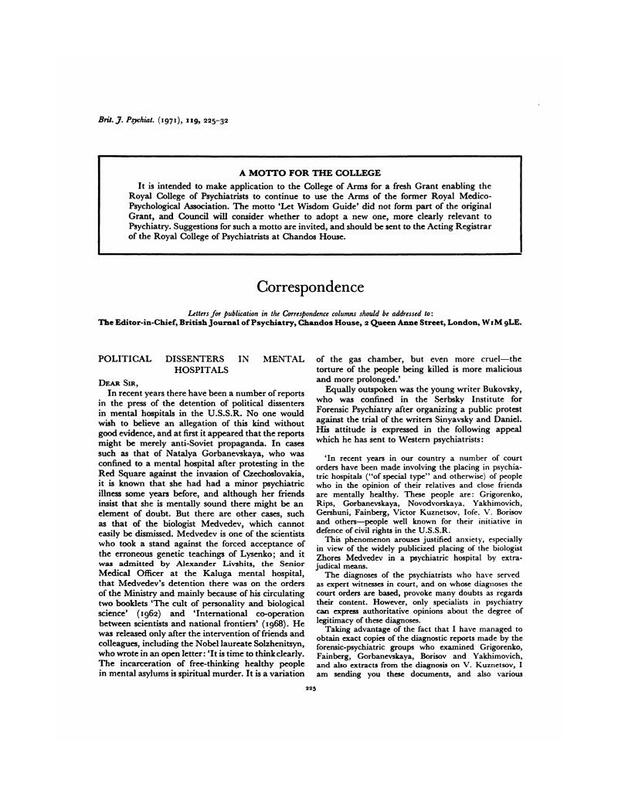 The Journal of Nervous and Mental Disease, Vol. 200, Issue. 9, p. 745. Kirby, Michael 2003. The 1973 Deletion of Homosexuality as a Psychiatric Disorder: 30 Years on. Australian & New Zealand Journal of Psychiatry, Vol. 37, Issue. 6, p. 674. Bloch, Sidney 1997. Psychiatry: An Impossible Profession?. Australian & New Zealand Journal of Psychiatry, Vol. 31, Issue. 2, p. 172.